Next up in NE Distance’s trio of newcomers is Brian Crimmins, who brings outstanding PR’s of 1:48.67 for 800m and 4:02.52 for the mile to an already stellar middle distance contingent of the Men’s Elite Team. Welcome Brian! 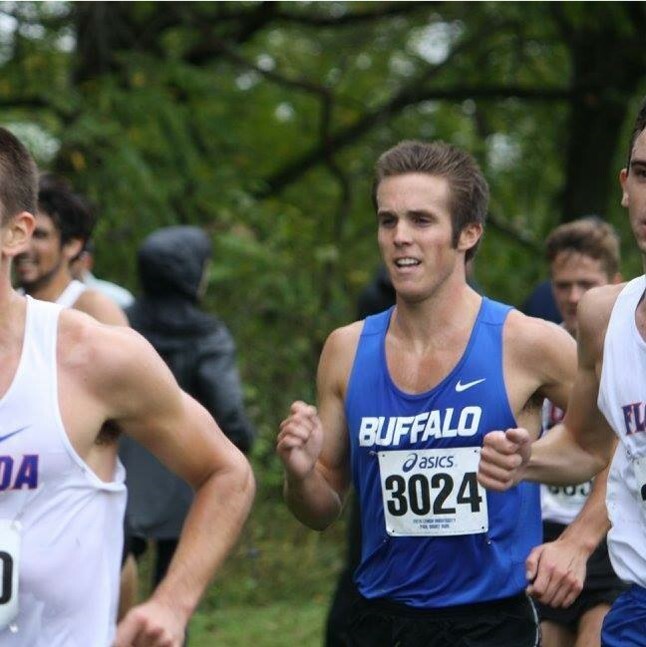 Brian Crimmins joined NE Distance as member of the Athlete-in-Residence program in the summer of 2017, just a few months after graduating from the University at Buffalo with his Bachelor’s in Pharmacology and Toxicology. A native of Big Flats, NY, Brian was a standout runner for Horseheads High School; he was twice the runner-up at the highly competitive Indoor and Outdoor Track New York State Championships, and still holds several Section IV records. 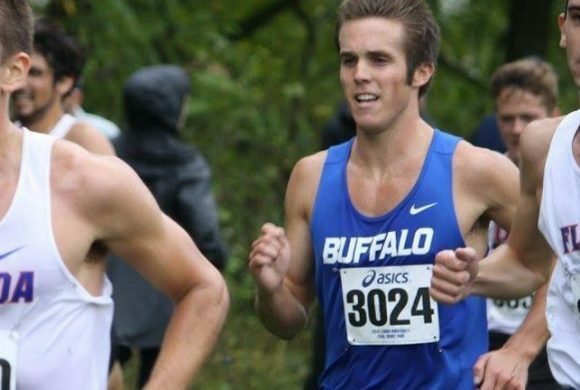 After steadily progressing throughout his collegiate career – he set PRs in both the 800m and 1500m each of his four years in Buffalo – Brian knew he wanted to continue competing upon graduation. With the help of his college coach, he began surveying the post-college running scene and reaching out to training groups, eventually discovering NE Distance. Brian was immediately drawn to NE Distance’s unique dual mission. He was excited by the prospect of coaching middle school kids and helping them gain confidence in their abilities. Grateful for all the mentorship he had received from coaches throughout his career, he viewed NE Distance’s program as a great way to give back to a sport that has given him so much. The idea of training alongside NE Distance’s talented group of middle distance runners was also a big driving factor. With his sights set on the 2020 US Olympic Trials and a sub-4:00 clocking in the mile, he felt that the solid community NE Distance has built in Rhode Island would be the perfect environment to live, train, and continue to pursue his goals.